Women aren't the only ones that have options for their wedding jewelry. The possibilities of men's wedding bands are truly endless, but choosing the perfect one should be based on one's own personal preferences and style. I wanted to share a few alternative designs for a men's wedding band. Please browse our collection of men's wedding bands in its entirety to see all of the styles and metal options that we currently offer. 1. 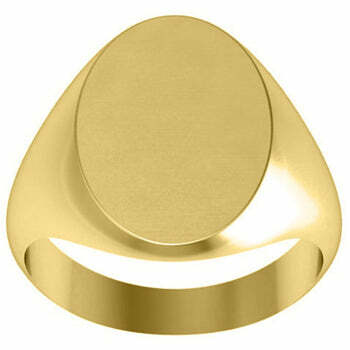 Oval Monogram Signet Ring If you do not want a plain wedding band, a signet ring is a timeless and classic option. The ring can be worn without an engraving or with a personalized monogram added. If you are interested in a signet ring that features a custom design such as a family crest, our team of jewelry designers would love to assist you. Get started by learning more about our custom signet ring designs. 2. 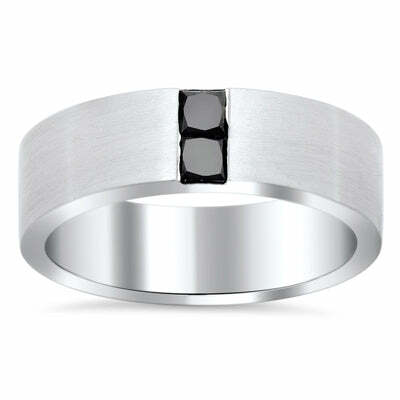 Men's Channel Set Princess Cut Black Diamond Wedding Ring Two black diamonds are channel set into this flat men's band. The diamonds are hand-selected by our GIA graduate gemologists and are AAA quality. They will weight collectively 0.55 cttw. The brushed finish gives this ring a modern and updated look while complementing the princess cut black diamonds. 3. 6mm Brushed Titanium Ring for Men or Women Lastly, I wanted to share one of our titanium wedding bands. Titanium is lightweight and resistant to corrosion and discoloration. The comfort fit inside of this ring makes the ring appropriate for everyday wear. 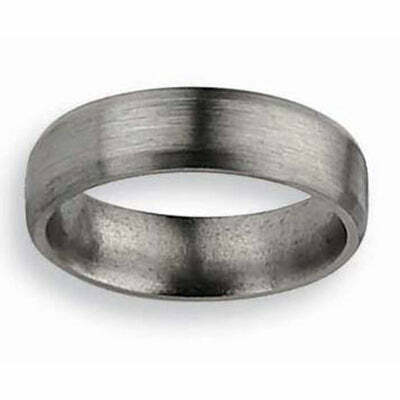 This brushed finish ring has a versatile 6mm width.